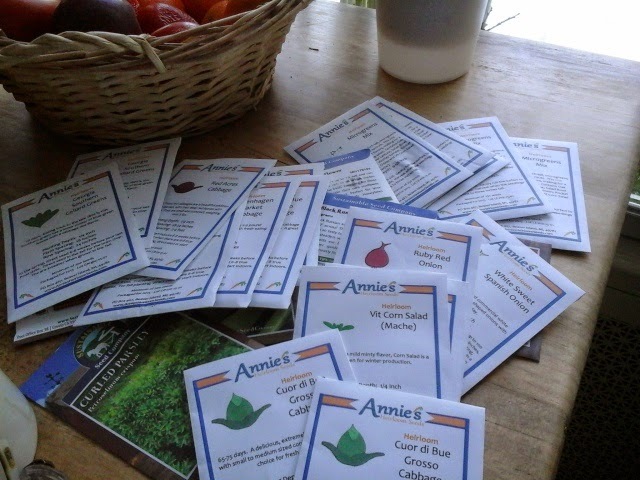 Journey to New Hampshire Homestead: Seeds Arrive! also, I ordered several packets of a microgreen mix. What are microgreens you ask? Microgreens are basically any sprouting seed that are allowed to grow a few inches tall, and usually harvested when they are a week or two old. Why microgreens?We have probably all read that sprouts are healthy. You can buy sprouts in most produce sections these days. Oddly, let those sprouts grow just a little bit more, and there is an explosion of nutrient content... from 4-40 times what the mature plant contains. Thats some powerful nutrition. You can add these tiny greens to salad, or, they can BE your salad. 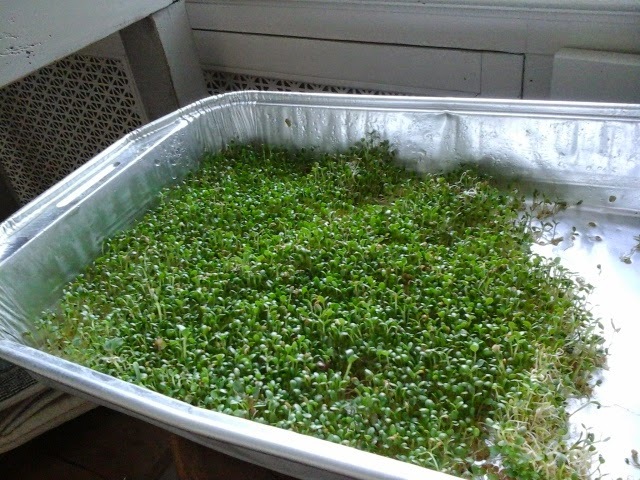 Growing microgreens is as easy as sprouting the seeds, and then spreadong them in a tray until you are ready to harvest. If you are an impatient gardener, then you might want to try growong these. Heres a tray of some mixed Microgreens. They are just about ready to pick. It was really, really cold today. So it seemed like a good time to work inside. 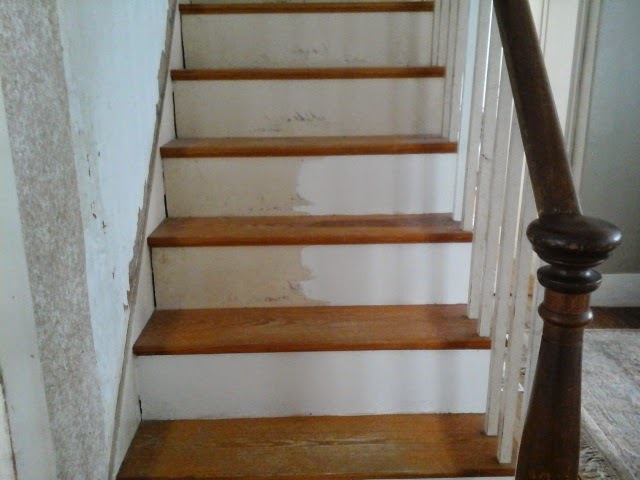 i started painting the stairway. Improvement? Weather:2 degrees this morning, but soooo windy. Windchill had to have been well below zero. It was miserable. Wildlife... everybody looked cold today. I didnt SEE, but HEARD a fisher out in the woods.